What is NYCB? 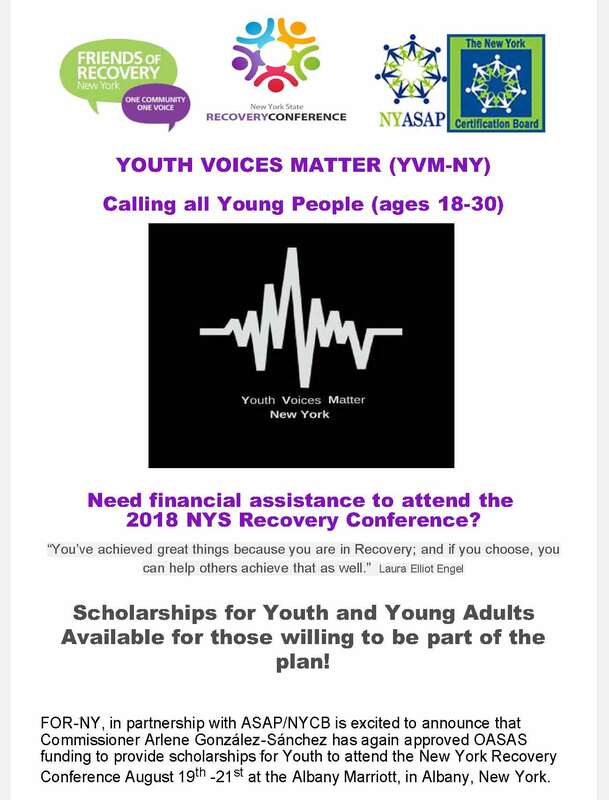 What is NYCA? What is the organization that will provide my certification going forward? 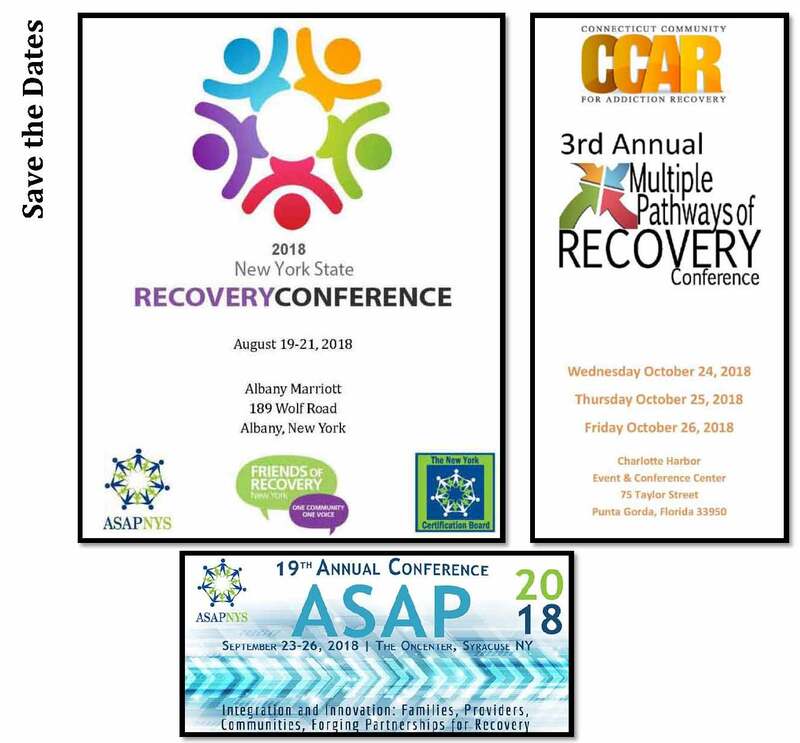 The New York Certification Board (NYCB) is a project of Alcoholism and Substance Abuse Providers of New York State (ASAP). 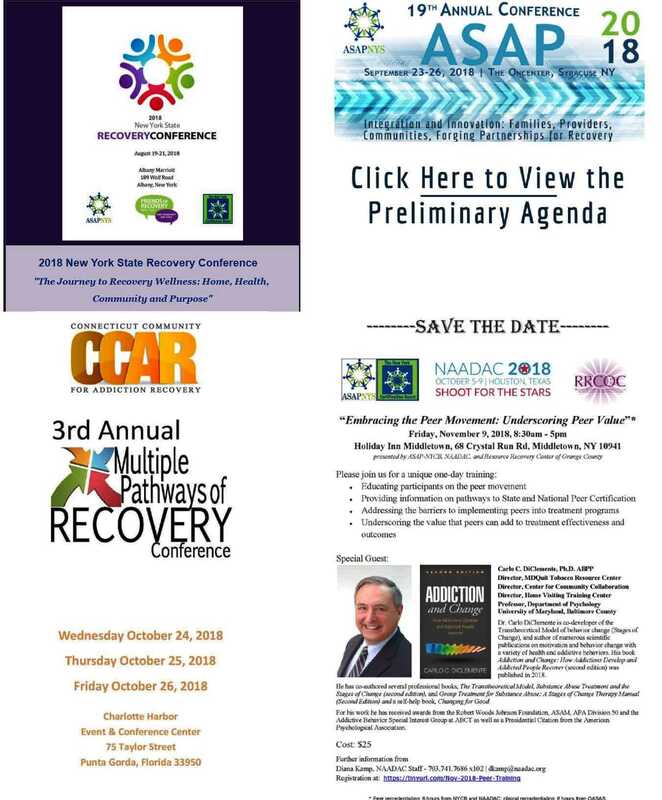 Effective May 1, 2018, NYCB is the only Board certifying peer recovery in New York State.The New York Certification Association (NYCA) is affiliated with the Florida Certification Board. 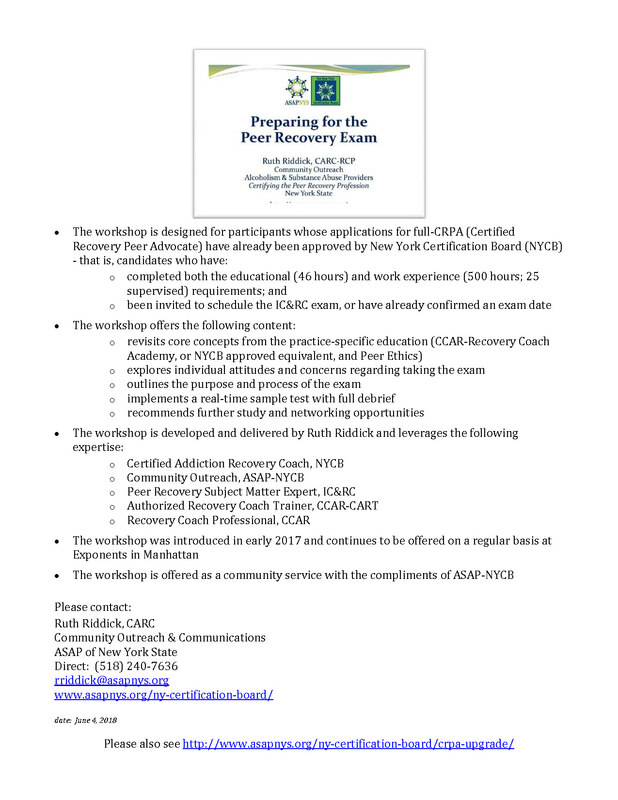 They will no longer provide peer recovery certification in New York State as of May 1, 2018. If I became certified by NYCA (the Florida Certification Board), is my certification still valid? Yes. 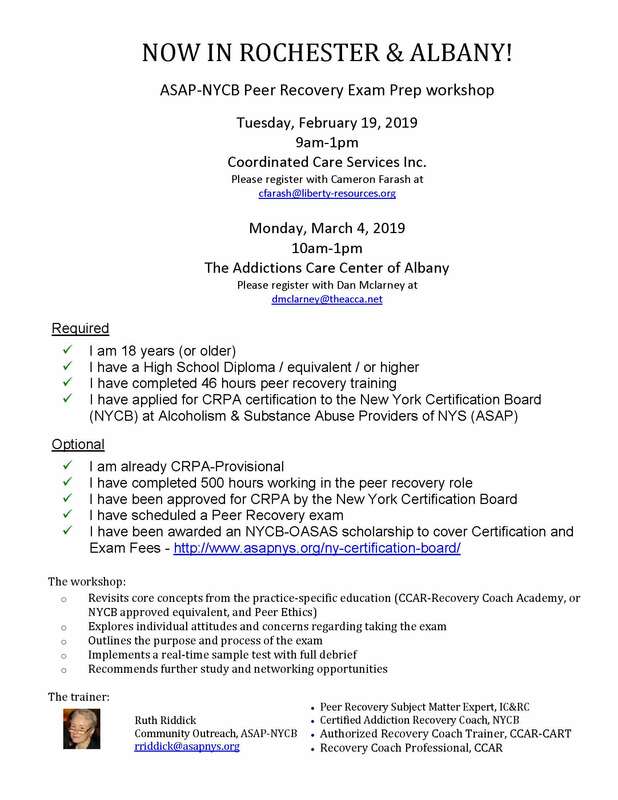 All records will be transferred from NYCA to the New York Certification Board (NYCB).In the case of lapsed status or reinstatement need, anyone originally certified through NYCA will have to follow all guidelines of NYCB to proceed. If I was originally certified by NYCA (Florida Certification Board), will my certification number be the same? Yes. We can now confirm that original certification numbers will continue to attach to your certification. How will my employer be able to check my certification status? All active certified peers will be included in the verification database on the NYCB website regardless of which Board provided your original certification – see, http://www.asapnys.org/verify/. 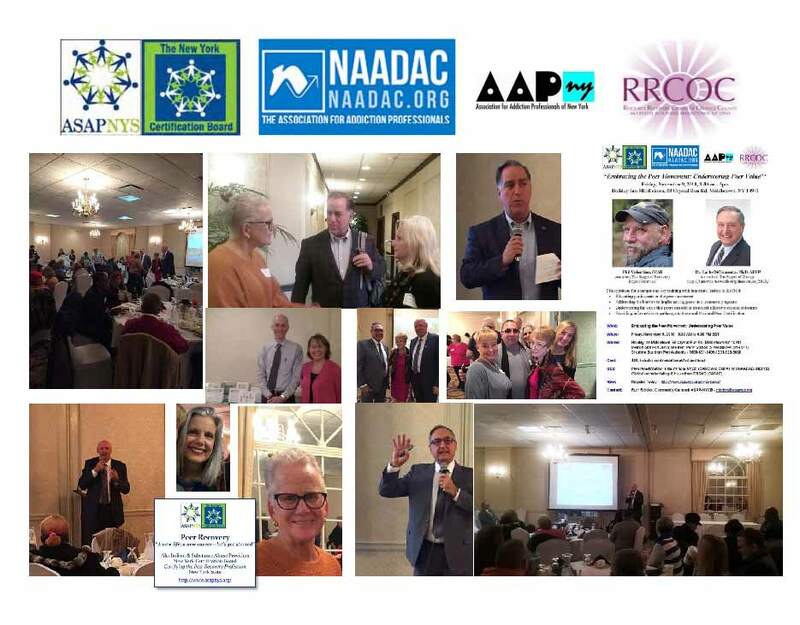 If I started a Certification Application with NYCA (Florida Certification Board) what happens to my application? All pending applications and files will be transferred to NYCB. 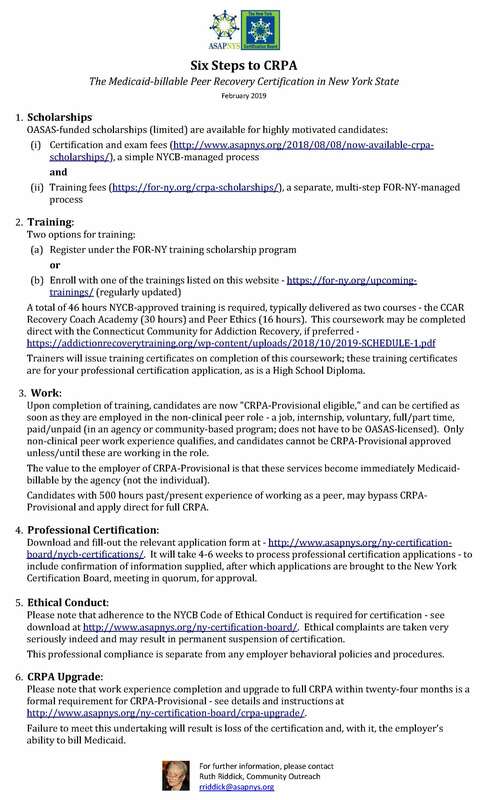 If I started a Certification Application with NYCA will the requirements for completing my certification be different? No, with one exception: NYCB does not require a criminal history record check. 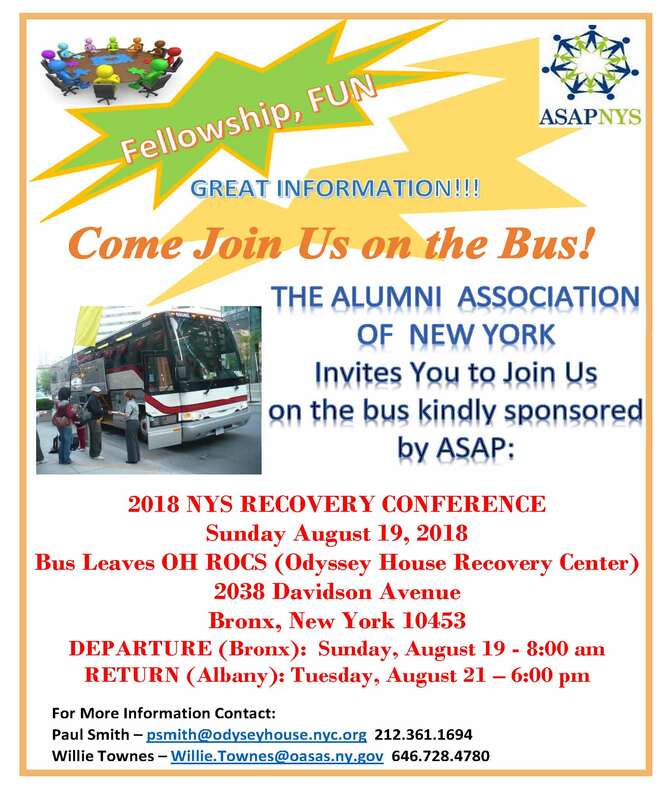 We will honor the original certification requirements that you began through NYCA and these requirements should be continued as started. 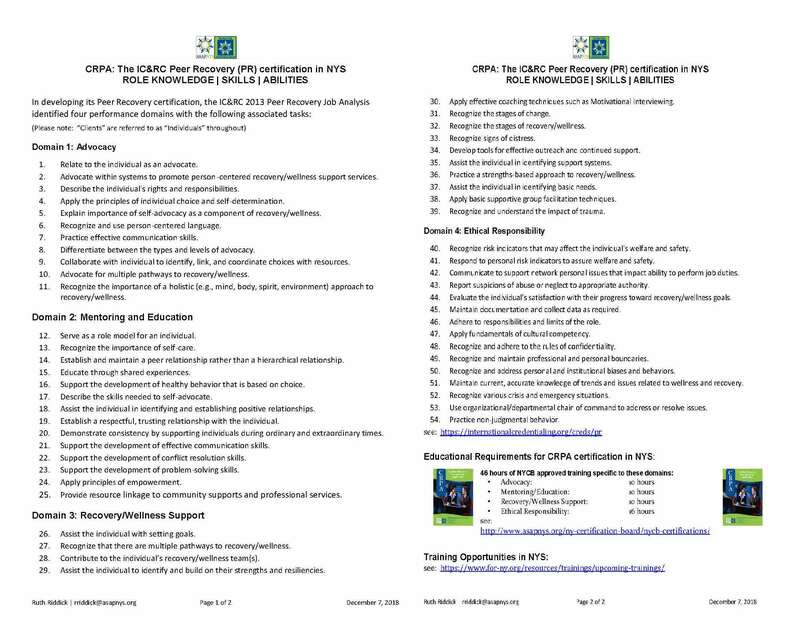 Fill out the CRPA application. 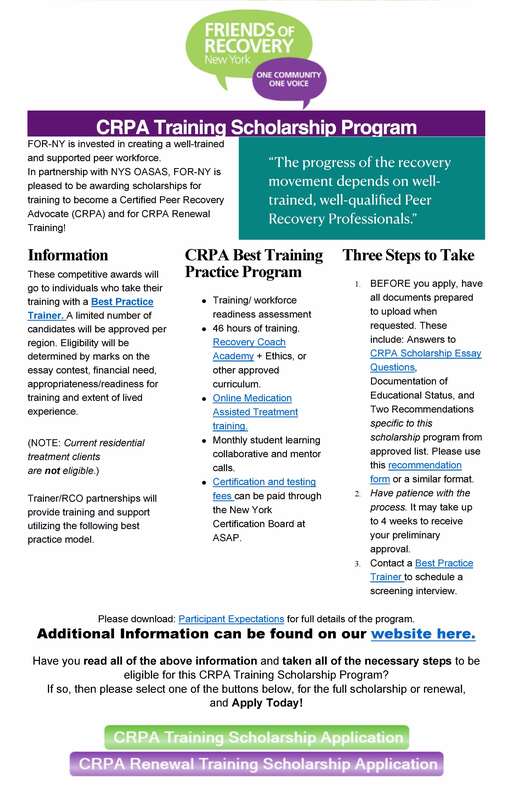 Include a copy of your CRPA-Provisional certification from NYCA. Pay the $50 upgrade fee. What Certifications are offered by NYCB? Can I apply for Certification with NYCB online? 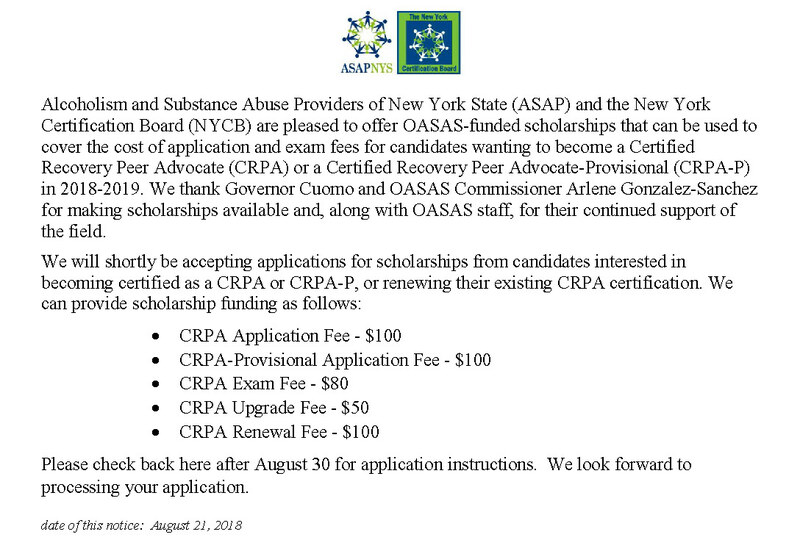 At the current time, applicants are required to submit a hard copy application with all required documentation.Applications for Certifications may be downloaded at the following link: http://www.asapnys.org/ny-certification-board/. 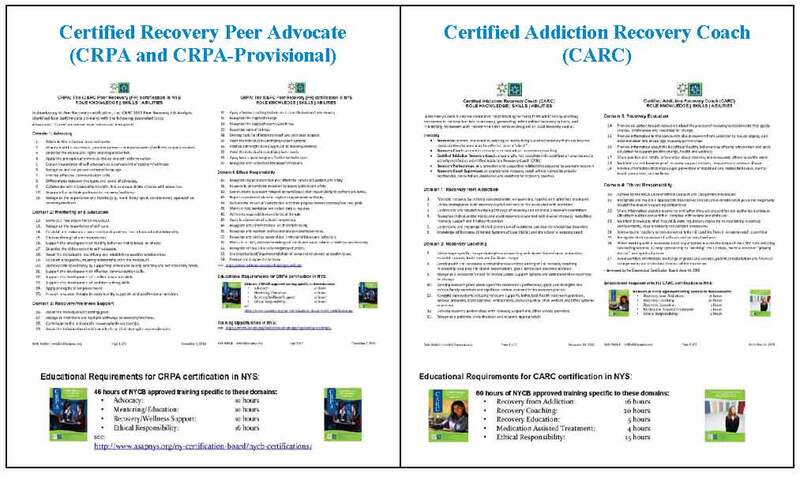 If I have my CRPA from the Florida Certification Board, can I now get my Certified Addiction Recovery Coach (CARC) from NYCB? Yes. 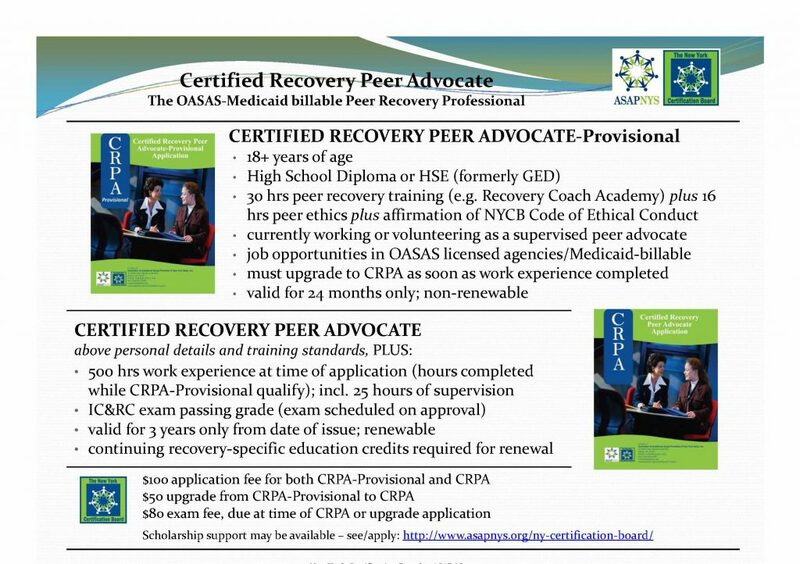 Applications for CARC Certifications may be downloaded at the following link: http://www.asapnys.org/ny-certification-board/. 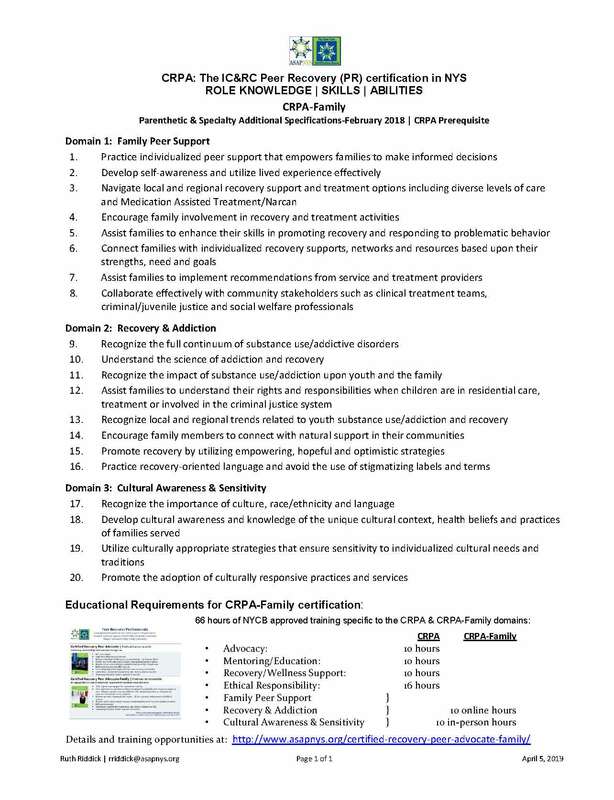 If I have my CRPA from the Florida Certification Board, will I have to redo that Certification to pursue the specialty for Family or Youth (when it is developed)? No. 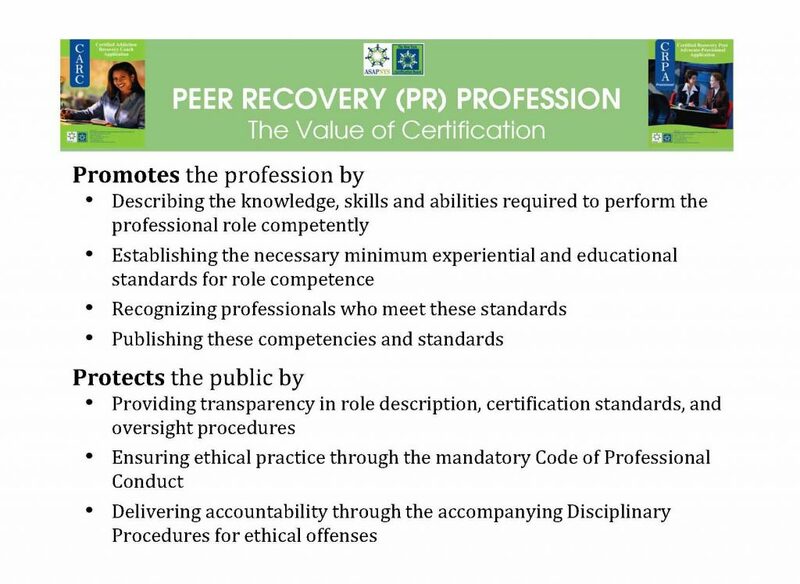 Your CRPA is valid as your base certification. 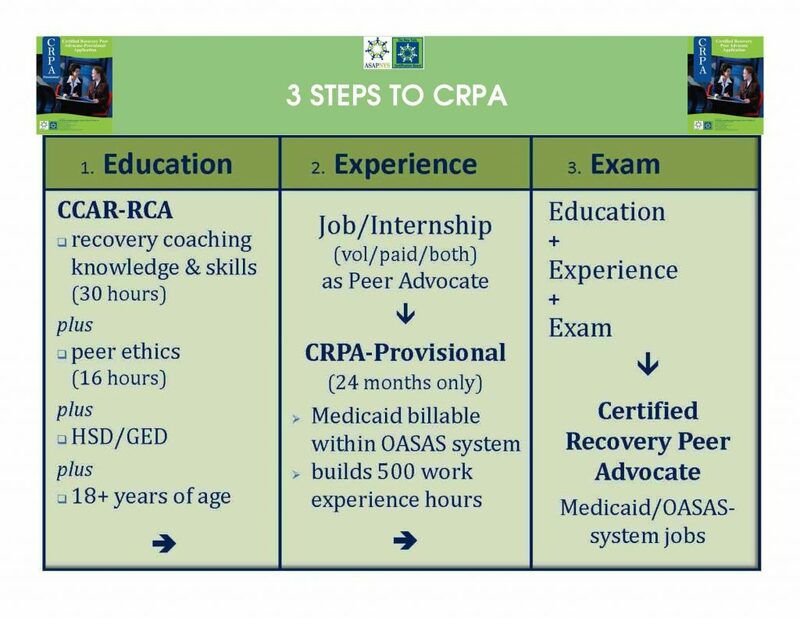 The CRPA-Family and CRPA-Youth specialties are an additional 20 hours of required training, and the CRPA is the foundation for this regardless of where you were certified in New York. 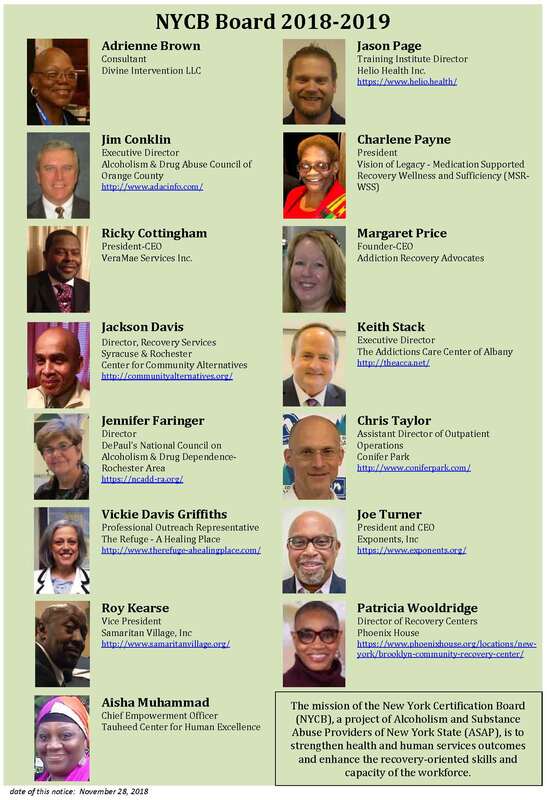 Whom can I contact at the New York Certification Board (NYCB) if I have questions? 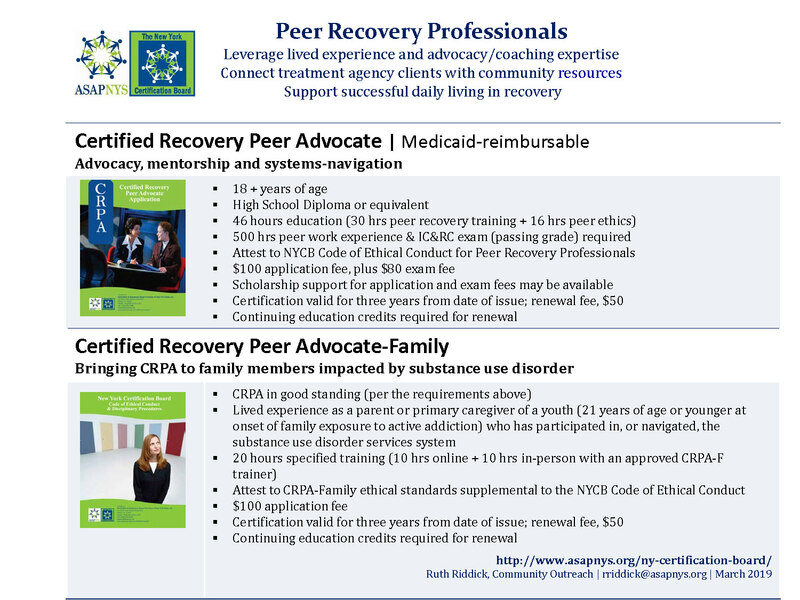 Our Certification Coordinator may be reached at (518) 426-3122 ext 101. 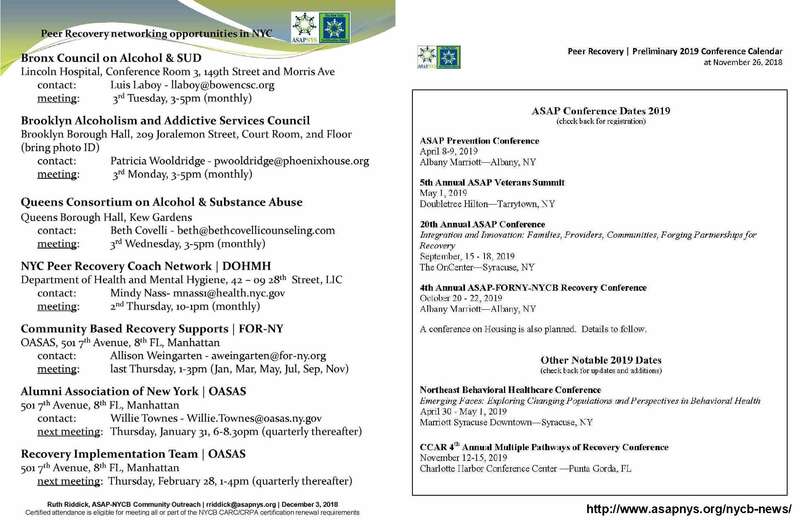 All questions may be e-mailed to: support@asapnys.org. If I took training that was approved by the Florida Certification Board, will NYCB accept this training? 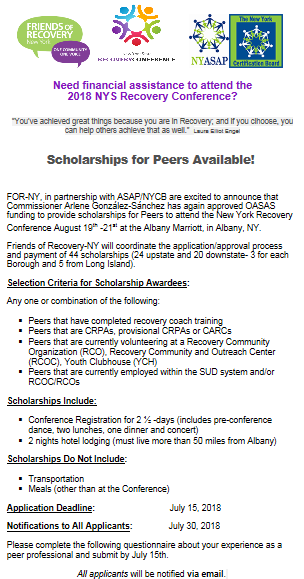 NYCB will honor training for pending applicants that has been approved by the Florida Certification Board. 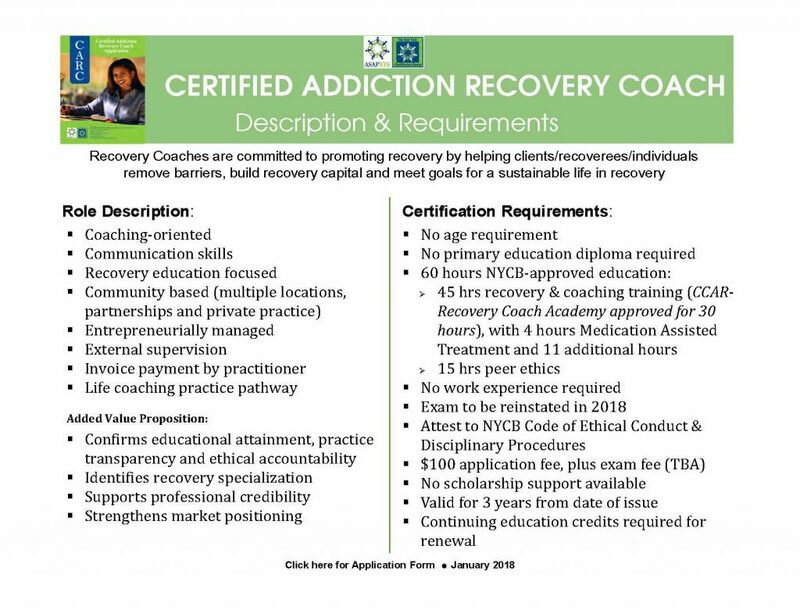 New applicants will be reviewed in accordance with NYCB Policies and Procedures, and if they provide training as evidence of their requirements that is unfamiliar to us, we will review and consider their training for approval. 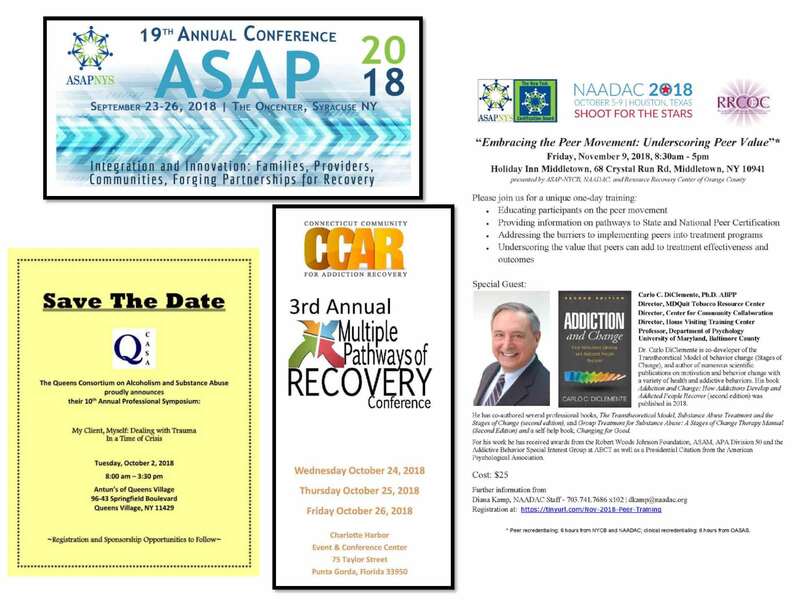 For more information, reach out here.